We have over 20 years bringing you the best in World, Arthouse and Documentary cinema on dvd plus books on Cinema, European Literature, Culture and History. Set in La Ciotat where a group of teenagers attend a creative writing workshop with an acclaimed author.. Their task is to work as a team writing a murder mystery. However Antoine quickly emerges as the leading creative voice amongst the group but his far right views and fascination with violence, causes unease among his fellow students. 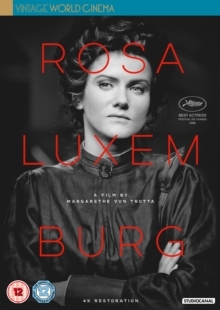 Barbara Sukowa plays Rosa Luxemburg, in this biographical drama about the revolutionary socialist who founded the anti-war Spartacus League with Karl Liebkecht during the First World War and her subsequent capture and execution in 1919. Moving film in which orphaned six-year-old Frida is sent to live in the countryside with her aunt Marga and uncle Esteve and there three year old daughter. Here Frida needs to adjust to her new surroundings and family life, while coping with the loss of her mother. Crime drama based a true story. Marcello is a dog groomer who falls under the spell of ex-boxer’s Simone and slowly slips into a life of crime. Marcello ends up serving a year in prison as punishment for not betraying Simone. However on his release, his old friend ostracise him and Marcello plans revenge. Shot beautifully in black and white, this romantic epic is set in Post war Europe. Two people with different backgrounds and temperaments beginning an affair, but the Cold War splits them apart. One heads for the freedom of West and one opts to stay. An impossible love story in impossible times. After drinking the curious nectar that drips from a mysterious plant, best friends Kim, Bella and Momo magically transform into boys. 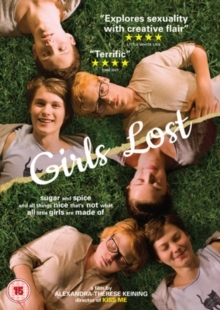 Geeky girls by day and popular boys by night they find themselves living in two completely different worlds. A list of available works by key European directors plus dvds listed under themes. This listing might be of help to teachers and students finding titles that could meet study requirements. 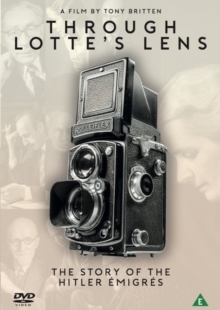 Taut and exciting story of a daring escape by a French resistance leader in World War II. Based on the memoirs of André Devigny, Lieutenant Fontaine is a member of the French Resistance who is imprisoned and condemned to death by the Nazis. The film follows his attempts to escape from his cell at Montluc with the help of his teenage cellmate, François Jost. Latest instalment of the sci-fi film epic reuniting Harrison Ford, Carrie Fisher and Mark Hamill. Subtitles: Danish, Finnish, Icelandic, Norwegian, Portuguese, Castilian Spanish, Swedish. Set in Turkeys western Black Sea region, Nihat is haunted by the past, and has become a fire warden at a remote observation tower. On meeting Seher, Nihat has to decide if he wants to choose companionship over isolation. 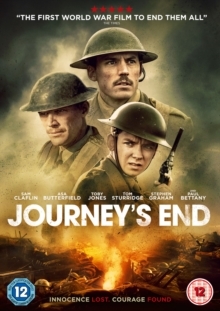 Set in the Japanese occupation of China in the 1930s, the film is in two parts. The first part o covers the early life and marriage of a young working-class couple, Sufen (Bai Yang), and Zhang Zhongliang (Tao Jin) and his flight to Chungkin . In the second part Zhang Zhongliang’s return to Shanhai, now married into a wealthy bourgeois family whom Sufenis forced to work as a maid. Originally released in two parts in 1947, The Spring River Flows East is generally considered one of the great Chinese films of the period. Yasaka is released from prison and seeks out his old friends Toshio, who welcome him into his family and gives him a job in his workshop. However, the close Toshio family starts to fall apart as Yasaka oversteps his welcome and the past he shares with Toshio begins to come to light. Following the outbreak of a deadly virus throughout the country, a high-speed train is overrun by a swarm of frenzied zombies. 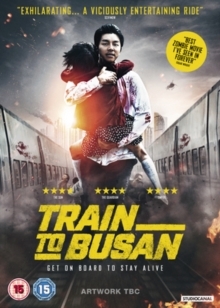 Seok-woo, a divorced city trader, and his young daughter Su-an are on the train battling the Zombies. 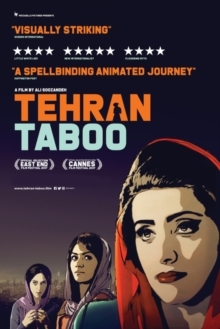 Animated drama in which a group of strangers with their own separate paths each take risks in order to break away from their oppressive lives in an Islamic society. A woman wants nothing more than to work despite the protests of her husband, a mother takes desperate measures to provide for her son and an aspiring musician attempts to release an album despite its contradictions of Islamic values. They must carry out their lives in secrecy if they are to both keep themselves alive and find happiness. Three films from the final phase of the career of Indian master of cinema Satyajit Ray. Om Puri stars in ‘The Deliverance’ (1981), a critique of the Indian caste system, as Dukhi, an ‘untouchable’ who approaches the village Brahmin to ask him to suggest an auspicious date for his daughter’s upcoming wedding. The Brahmin promises to do this in exchange for Dukhi performing some household chores for him. But the chores prove too much for Dukhi, who dies before they are completed. ‘The Home and the World’ (1984) explores the relationship between a woman (Swatilekha Sengupta), her husband (Victor Banerjee) and his best friend (Soumitra Chatterjee) in the chaotic aftermath of the partitioning of Bengal into Muslim and Hindu states. ‘The Public Enemy’ (1990), an adaptation of Henrik Ibsen’s play ‘An Enemy of the People’, depicts the deep-rooted superstition and ignorance that give rise to conflict in a small Indian town. 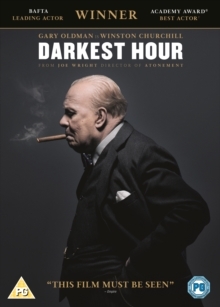 Gary Oldman plays British Prime Minister Winston Churchill in a crucial junction in World War II. This Zambian film contains elements of magical realist drama, deadpan satire and feminist allegory. Nine-year-old Zambian Shula is exiled to a witch camp after one of her fellow villagers claims she is a witch. At the camp local official decides she is his little witch and parades her around local TV stations, lining his pockets with any fees. CLICK HERE and type - MAILING LIST (AND YOUR AREA OF INTEREST) - in the E-mail subject line.